The Globalfarm series is necessary if more power and greater versatility is required for multi-purpose tasks. 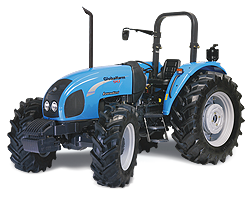 With higher horsepower and consistent reliability, the Globalfarm is a suitable, all-round agriculture tractor capable of handling any difficult assignments in farms and plantations. 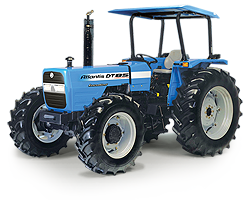 The core purpose of the Landini Atlantis DT85 Transporter has remained the unchanged since when the first tractor has been invented. Called the 'workhorse' of farms and plantations all over the world, the DT85 delivers performance and versatility in every condition. It is everything you expect from an agriculture tractor and more. 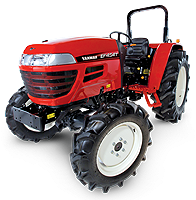 The Yanmar EF393T defines the compact tractor range with its small size and versatile functions. 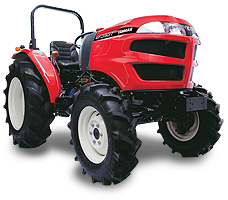 Light weight, highly manoeuvrable and durable, this tractor is suitable for small size farms, golf courses, resorts and landscaping. Plantations utilise Yanmar compact tractors today to compliment mechanisation programs.